Whether you are experiencing trouble with your heating or cooling system, Trident Plumbing & Heating of Weyburn has you covered. 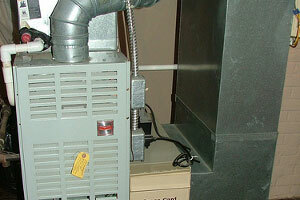 We offer repairs, general maintenance, and replacements to ensure maximum comfort in your home. Before you give us a call, check out more information about your systems below. If the above did not work, please reach out for further assistance. Call Trident Plumbing & Heating. The temperature should be set above the room’s current temperature in order for this system to emit heat. The switch needs to be on the heat or auto position. 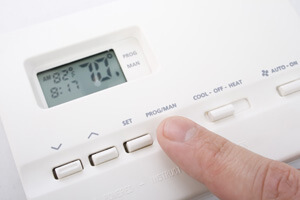 You might try to get the boiler to turn on by turning the thermostat to a higher temperature. Double check on the power disconnect switch, fuse/breaker at electrical panel, pilot light, and lastly, be sure you have fuel oil. You might also ensure the gas control valve to the boiler is open. To request our services, contact us at Trident Plumbing & Heating today! Be sure to double check the air conditioning settings on the thermostat. The temperature should be set lower than the temperature the room is at currently, and the switch should be set to the cool or auto position. You might try to get your air conditioner or heat pump to work again by setting the thermostat to the lowest temperature setting possible. If you are still experiencing no cooling, check on the air filter, as a dirty filter can block the air flow. Then, make sure all of the registers are wide open and unobstructed. Lastly, check on the power disconnect switch and the fuse/breaker for both indoor and outdoor units.